My friend Sue and I didn’t visit any language-related destinations today, making it an exception in our linguistic tour of northern Spain. 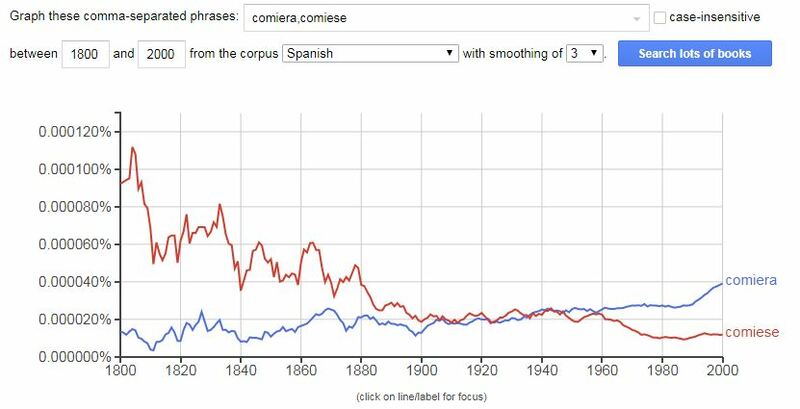 I’d like to take advantage of this “day off” to share with you some uses of the -se imperfect subjunctive that I unexpectedly observed yesterday. 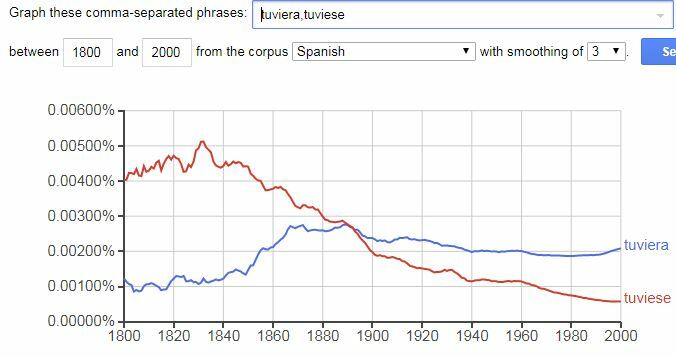 The -se imperfect subjunctive is one of my favorite phenomena in Spanish: not only does the language have both present and past tense subjunctives, but also, the past tense subjunctive has two different forms. This is an unusual and possibly unique type of grammatical redundancy. Of the two past subjunctives, the version that ends in -ra is much more common than the one that ends in -se. One sees the -se subjunctive in literature, but I’d never heard anyone use it in conversation, or seen it in any casually written text. (It does shows up in literature.) I was thrilled, then, to run into the -se subjunctive twice yesterday. First, our tour guide at the Monasterio de Suso used it once or twice in his explanations. 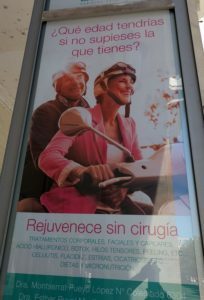 Later, during our lunch stop in Zaragoza, I spotted it on a poster for an anti-aging treatment. This text on the poster asks ¿Qué edad tendrías si no supieses la que tienes? ‘How old would you be if you didn’t know how old you were?’; I’ve underlined the subjunctive. 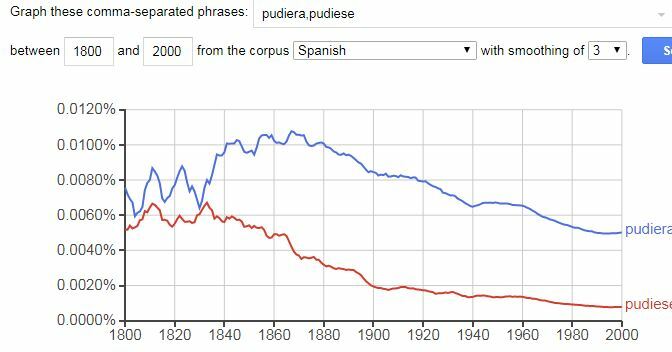 The newer, and more frequently used, form would be supieras. Seeing the subjunctive in action, after spending so much time researching and writing about it, was a real thrill. Plus, I love the poster — and I’m glad to say that Dra. 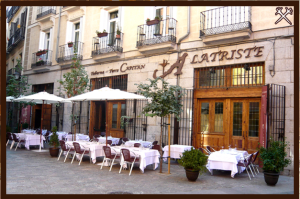 Montserrat Salvador López, whose services it advertises, is listed as one of Spain’s Top Doctors! A veces se sentía atrapado, hiciera lo que hiciese, dijera lo que dijese. This sounds much better, to my ears, than the English equivalent: Sometimes he felt trapped, no matter what he did or said. I love the sound of these verb pairs, and I guess these authors do, too. Ages ago I discovered the joys of reading Spanish novels for fun. It helps to keep up my fluency and build my vocabulary, while adding bits of cultural knowledge. Of course, I always keep my linguistics hat on in case I find anything particularly interesting. This post describes two such findings. The first is from La carta esférica, a novel about a sailor who joins a mysterious woman on a treasure hunt for a sunken ship carrying a priceless cargo of Jesuit emeralds. It’s by one of my favorite Spanish authors, Arturo Pérez-Reverte, best known for the Capitán Alatriste series. Besides its pleasantly page-turning plot, this novel features the best example I’ve ever seen of the stylistic exploitation of the two different versions of the Spanish imperfect subjunctive. Here, the narrator alternates between -ra and -se subjunctives as he waits for the mysterious lady of the emeralds to stop him from walking out. This alternation adds an extra back-and-forth rhythm to the parallel structure of the successive que clauses. Todo el rato, hasta que cerró [la puerta] detrás de sí, estuvo esperando que fuese hasta él y lo agarrara por el brazo, que lo obligase a mirarla a los ojos, que contara cualquier cosa para retenerlo. “The whole time, until the door closed behind him, he hoped that she would go to him, take him by the arm, make him look her in the eye, and say anything to keep him there. Right now I’m reading Magali García Ramis’s memoir of growing up in Puerto Rico, Felices Días Tío Sergio. I first learned about García Ramis when she was inducted into the Academia Puertorriqueña de la Lengua Española (basically, the Puerto Rican branch of the Real Academia Española). In a previous post I described her inaugural lecture, on the Puerto Rican /r/. I bought a copy of Felices Días back then but only recently got around to reading it. 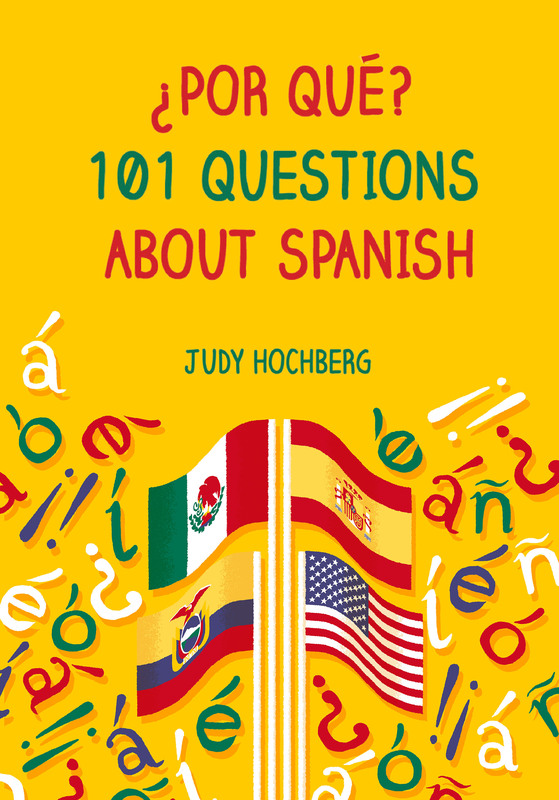 It is absolutely delightful, written in simple Spanish that would make it a good first novel for a student to read. The passage that caught my linguistic eye has to do with another cardinal aspect of Puerto Rican pronunciation, the aspiration of final -s. Here the protagonist, a young girl, is asking her mother to make cat-shaped cookies for the funeral in absentia of their lost cat, Daruel. It’s an interesting passage from a sociolinguistic perspective because it shows the two speakers’ awareness that this is a stigmatized feature. In the first line, Ramis uses the letter j to show the aspirated /h/ pronunciation of the /s/ of los. I love the exaggeration of the multiple ssss and the way the daughter extends them to nos, which she seems to have pronounced correctly from the start. 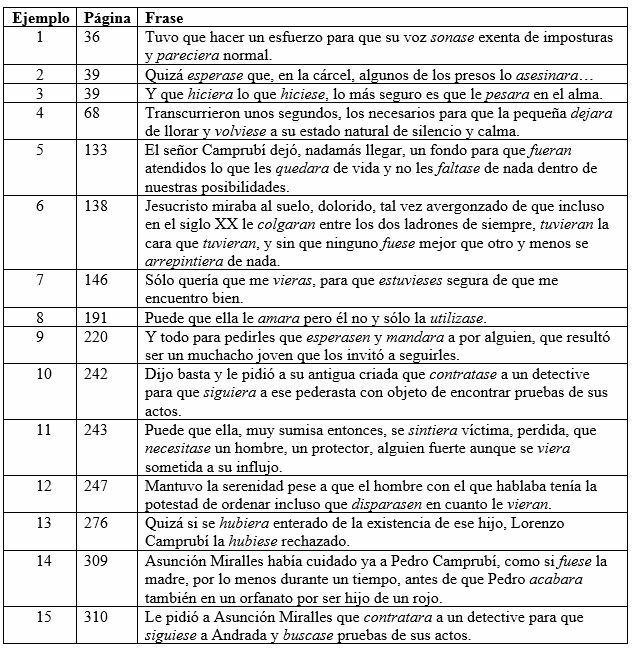 This entry was posted in Latin American Spanish, Sounds, Verbs and tagged García Ramis, imperfect subjunctive, Pérez-Reverte, Puerto Rican Spanish, s deletion, Spanish on 28 October, 2014 by jhochberg.